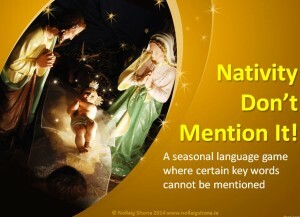 This is a seasonal oral language activity in a Powerpoint Presentation that can be done with pupils probably in the middle/senior classes. A pupil stands with their back to the IWB screen while another pupil faces the screen and describes to the first pupil what the object on the screen is. 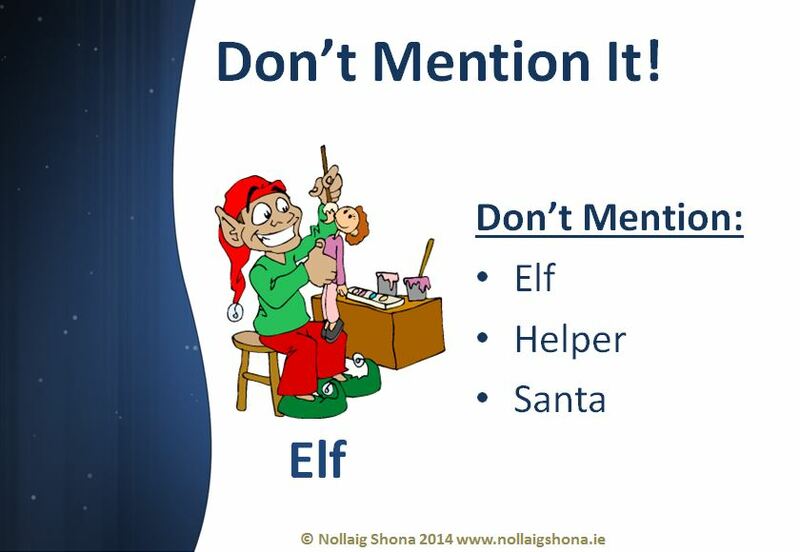 However, they must not mention any of the three words on the right hand side of the slide. 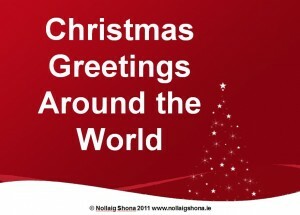 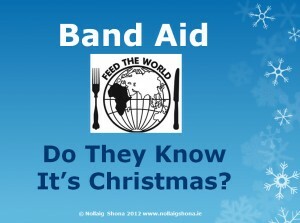 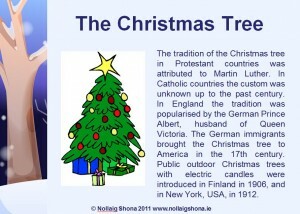 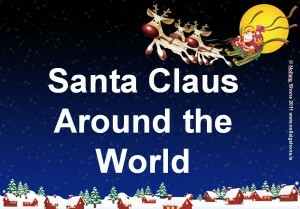 This Powerpoint Resource tells the story of the hugely popular Christmas song “Feed the World – Do They Know It’s Christmas?” written by Irishman Bob Geldof. 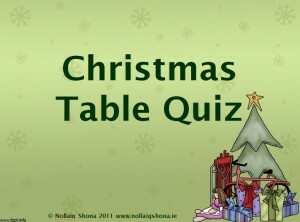 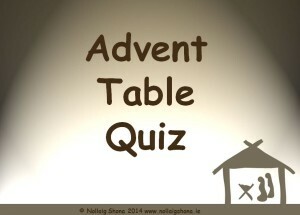 Christmas-themed quiz consisting of eight rounds of six questions, tie-breaker round and answers to all questions on 109 Powerpoint slides, suitable for IWB in the classroom or in the school hall. 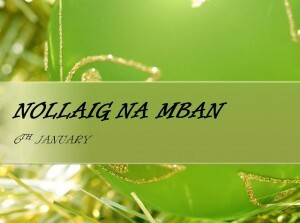 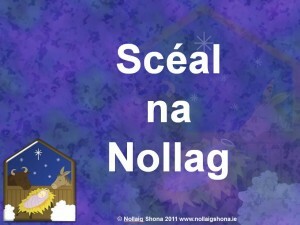 Cur i láthair Powerpoint ag insint an scéal faoi Muire agus Iosaef agus breith an leanbh Íosa i mBeithil fadó.